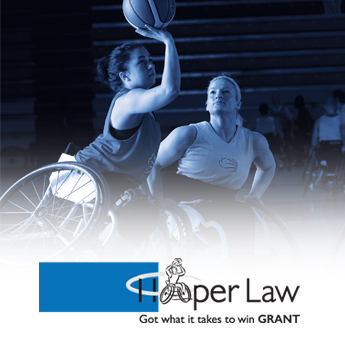 (OTTAWA, ONTARIO) Hooper Law and Wheelchair Basketball Canada are proud to give young Canadians the opportunity to take their wheelchair basketball game to the next level through the Got What It Takes to Win Grant. We invite Canadians under the age of 25 to get creative and tell us about their love of wheelchair basketball and explain why they’ve got what it takes to win in the form of a video, photo, letter or drawing. Participants can submit their entry to Wheelchair Basketball Canada for the chance to be awarded a new, customized Quickie All Court sport wheelchair. The customized chair is supplied by Sunrise Medical Canada, a world leader in the development, design, and manufacturing of sport wheelchairs, including their popular Quickie brand. Sunrise Medical Canada is the official equipment supplier of Wheelchair Basketball Canada. Hooper Law is a proud partner of the Canadian Senior Women’s National Wheelchair Basketball Team. The recipient of the Hooper Law Got What It Takes to Win Grant will also receive a replica Team Canada jersey autographed by the Canadian women’s team. From now until December 31, 2017, participants can submit their entry by mail or email to Wheelchair Basketball Canada. 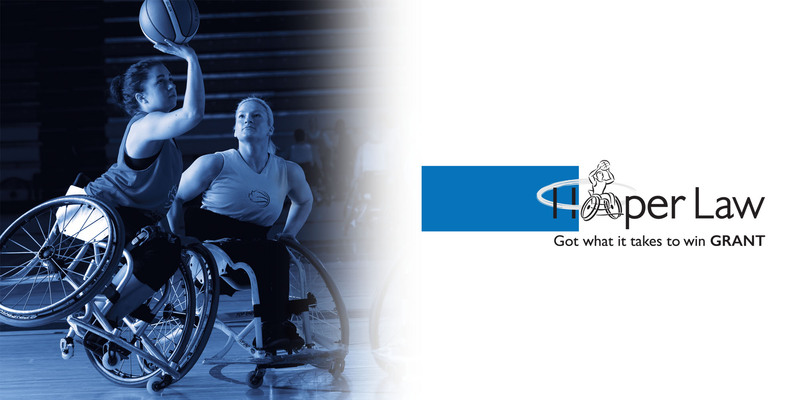 For more information about the grant, please visit www.wheelchairbasketball.ca.